With the single largest market share of 40%, Titan is outstripping the country's watch market, a senior company official said on Thursday. 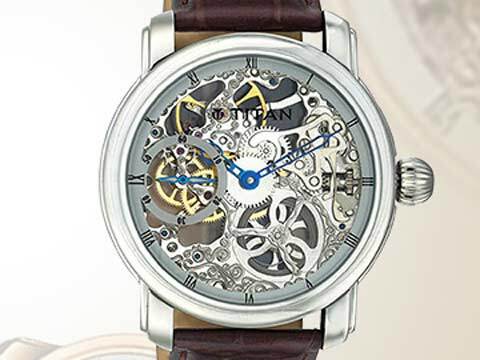 KOLKATA: With the single largest market share of 40%, Titan is outstripping the country's watch market, a senior company official said on Thursday. "The watch market is growing at about 8% annually but Titan is outstripping it. With all our brands like Sonata, Fastrack, other Titan brands and many sub-brands underneath, the company is growing fast, significantly higher than the market," Titan Company's Associate Vice President and Regional Head (East) Rajeswari Srinivasan said on the sidelines of the launch of Titan Raga's 'Garden of Eden' range in Kolkata. "Titan is sold in 31 countries around the world and the brand is quite popular... In India our market share is 40 per cent... single largest," she added. The company registered a growth of 8.1 per cent over the previous year with an income of Rs 10,815.08 crore for the 2013-14 financial year. With a price range between Rs 3,795 to Rs 13,955, the new collection of watches designed for women, has 13 design variants and 41 sub-products underneath. "Inspired by nature, the 'Garden of Eden' collection comes at quite reasonable price. Not at throw away price. We found while wearing some ethic Indian clothing women require something to match it and we end up wearing those straight steel brands. "So Raga was born out of a need... It's an answer to a particular need and it does not have a sale equivalent. It's a jewellery which tells you the time," she added.